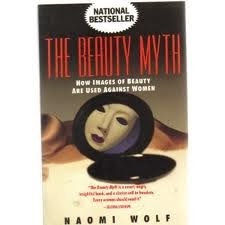 I decided I need to do the second half of last month’s book review before doing this month’s, so here it is-Naomi’s Wolf’s The BeautyMyth: How Images of Beauty Are Used Against Women. I loved the book so much that I am doing it in two installments! And since I have already written both, you can be sure that you will be able to read both in a timely manner! The Beauty Myth is a classic and for a good reason-it is well written, easily understandable, makes many good, clear points and is still applicable today. It is a great book for a beginner feminist and will certainly make one properly angry. I absolutely loved it and underlined many passages while reading it. My feminist book club had a grand time discussing all the points in the book AND how we thought some of the key points have changed since the book was first published in 1991. I thoroughly recommend this book to any young, budding feminist. Also, I have been posting passages from The Beauty Myth on tumblr from time to time ever since reading it. If you don’t already, follow me on tumblr to read some of the passages. We also talked about how the book proves why the fat acceptance movement is so important. With the beauty myth being constantly shoved into men and women’s lives, pressuring them to diet, to hate themselves, undergo surgery, belittle and judge each other based upon looks, live in constant fear of losing a lover or a job if they gain a pound-it is imperative that we learn to love our bodies as they are right now. The fat acceptance movement, which was just beginning at the time when Naomi Wolf was writing her book is a direct way that people are fighting against the beauty myth-it is fat people saying that we are people too and it is okay for us to also have pride in our bodies! Another way that people, particularly young people, are taking action against the beauty myth is their presence on social media. Wolf says, “the magazines’ role should be seen as very serious. For a mass female culture that responds to historical change, they are all that women have.” This is no longer true at all! For something that is “all that women have,” I must admit that I don’t read them at all, but I do read feminist blogs like Shakesville, fat acceptance blogs like Dances with Fat, and recovery blogs like Healing from BPD. There are blogs on tumblr that post pictures of stretch marks, fat bodies, and skin disorders, so that women can see how normal it is to be different. Mothers, homemakers, activists, teenagers, feminists, cooks, artists are starting a revolution by blogging and sharing their intimate details with one another. No longer is the corporate magazine world controlling “mass female culture.” Teenagers post pictures they take of themselves all the time and each time they do, they gain a little bit of the self-confidence that the advertising world tries to steal. “Modern women are worn out.” “It is this exhaustion that may call a halt to women’s future collective advancement, and that is the point of it.” (53) “All labor systems that depend on coercing a work force into accepting bad conditions and unfair compensation have recognized the effectiveness of keeping that work force exhausted to keep it from making trouble.” (54) Those quotes are all from the work section and it is why I and some others I know do not want the lifestyle of successful men, but want to create our own version of success-one that does not equate to much material wealth or prestige, but on autonomy and satisfaction. I know that I could not handle the kind of success that our culture celebrates, because of my anxiety and stress level. I would absolutely love to open a feminist mental health center and I have even talked about that before, but how that could get started I don’t know. I Am Begging My Mother Not to Read This Blog - "Whoo, Boy. Let’s Talk About Feminism." I feel like a world of true feminist equality would be one in which I could genuinely dislike other women on the basis of their character alone. Today, let us recommit to ensuring we remain a Nation where all our people, including those with disabilities, have every opportunity to achieve their dreams.